Plebs Breweries (or Plebs and Snobs) in Mowbray, Cape Town is a new brewery in Western Cape. They have been working on this brewery for some time now (waiting for licenses and so on). Since a couple of months you have been able to taste their own craft beer at Plebs & Snobs. Today (Wednesday 11th September, at the Fat Cactus) they will also launch a beer brewed for the Fat Cactus restaurant (Fat Cactus Very Fine Ale). They have also been selected to brew a beer for JC Brasserie & Pubs. According to Maarten at Plebs & Snobs they have some more news coming up later next month. At the Fat Cactus launch, patrons love the Ale!…..well done Plebs & Fat Cactus! Your welcome! Good luck with the brewery! We dropped by Plebs last night – is it even open for business? It literally looked like it had been ransacked! There was stuff everywhere and a giant junkyard dog barking at us!!! Hi Lucy, thanks for popping by, it must have been after 17:30pm, as I was there until then and then off to the Fat Cactus. I would be delighted to receive you and Shawn, or anyone else and show you around sometime, when our renovations are complete and we publish our launch officially. We brew in a Health Department approved sanitary kitchen, under the strictest sanitary conditions. 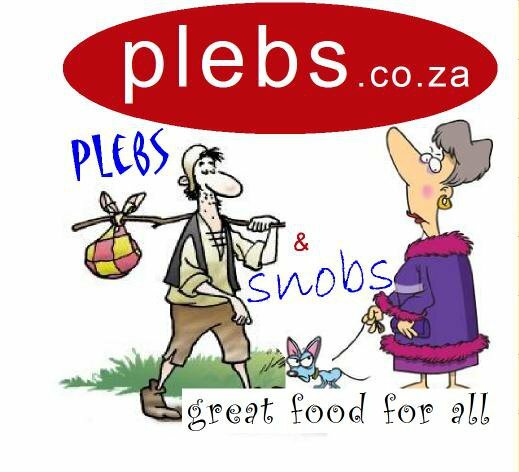 The Plebs premises comprise 57 to 61 Durban Road Mowbray. It appears you arrived at the one unit that is currently being used as a storeroom and in the process of being converted to our retail outlet, which should be open and available to the general public towards the end of October 2013….again we will gladly invite you and Shawn to the launch. We have workers busy on that particular site at the moment, hence the security dog, a thoroughbred German Shepard (Kusa and GSD Registered),…I apologize that her bark offended you, having said that I am glad to hear that she ‘did her job’ by barking at unannounced ‘potential intruders’ arriving there in the evening. As I told Joakim after receiving his first email, the Plebs renovated venue press release is due later in October 2013, when Plebs will be open to the general public. Please do not hesitate to contact me directly on this email if I can assist you in anyway. Thanks again for your interest and by the way I would like to showcase your book when our retail store opens at the end of October… so do stay in touch. Yes the Fat Cactus are now selling and I am sure they can help you on Saturday….although they sold out last night, and we had to replenish stock this morning. I did plan on dropping some free tasters for you and Shawn at some stage, but things are just a bit hectic at moment. I have great respect for both you and Shawn…and would love to receive your review. The launch went extremely well….the patrons raved about the beer, and Dave is extremely happy with the product. Our ‘direct to the public’ shop in Mowbray opens 20th December 2013, see you all soon. Hi there, just to let you know we are fully functional, and open to the public on certain days. You probably saw the ‘Southern Suburbs Tatler ‘ page six feature last week. Lucy and Shawn, please pop in on friday evening after 6pm, I’d love to offer you a complimentary glass or 2, we also have lakeside on tap if you prefer. Thanks, we’d love to drop by on Friday. See you then!